Most commonly referred to simply as ‘mobility’, mobile technology is no longer an optional investment, it’s a core requisite for most any business. Small businesses will need to effectively tool both employees and potential customers with the ability to engage, interact, and conduct business across a constantly expanding and dynamically shifting environment. Small business owners have often passed on mobile technologies because of high costs or limited resources. Ironically, these are the very reasons driving increases in the use of mobile resources today. Subsequently, as audiences increasingly grow microwave-responsive with high expectations for quick and effective delivery, small and medium-sized businesses must find and invest in their ability to remain agile, timely and relevant. The use of mobile applications and tools allow small businesses to present, capture, and engage from any location, any time. The ability to conduct business across any device, collaborate with employees, and respond to customers at the swipe of a finger is critical versatility for any organization. As the age-old adage states, “Necessity is the mother of invention”, and the need for secured mobile devices, networks, and systems has grown drastically under the tension of public scrutiny brought on by recent security breaches that have hit the news. The securing of mobile devices via encryption, data wiping services, and applications is seldom contested in present day; however, properly developed procedures and protocols that govern and support the appropriate, ethical methods of secured software and hardware are often over-looked by many organizations. The human element. Many of the high-profile security breaches exposed across headlines in recent years are results of networks and devices left unattended, openly accessible, and vulnerable to malicious attacks simply due to a lack of security education among participants and employees. No longer an after-thought. Securing devices and networks is a front-end exercise that should appropriately address, plan for, and monitor impending security risks. A security plan encompassing both external and internal threats is vital. Organizations, large and small, have begun instituting security officers to mitigate outside security threats as well as educate and train employees how to properly secure their devices. Whether it be over social media engagements with customers or across an internal collaborative suite with fellow employees, small and medium-sized companies must continue to find ways to transverse the separation of individuals by time and location as telecommuting, 5-4-9 work weeks, and flex-time become more prevalent among small and medium-sized firms in efforts to attract top talent. A myriad of fairly, inexpensive cloud services and collaborative application suites are intuitive and easily implemented. A list can be found here. Identifying your needs. Before leaping into the stratosphere of cloud storage and computing, small and medium-sized organizations must identify the most appropriate cloud or collaborative solution best suited for your organization-type. Outsourced IT or hybrid cloud environments; taking the one-size fits all approach could be severely debilitating to your organization. Instead, conduct an audit of your technology resources and organizational assets as well as the use of these items to accurately determine which tools will lend the greatest benefit to your firm. Utilizing tools that foster collaborative engagement across teams also allows for stronger interaction across social media platforms. For better or for worse, social media is wedded to any business’ marketing and web presence. Having a strategy for social media engagement and a defined web voice is imperative to effectively cultivating a relationship with the appropriate audience showing your firm an authoritative entity for your industry. an altogether seemingly better mouse-trap; however, it’s most important to find and stay consistent with a workflow that reduces significant roadblocks and increases capabilities specific to your organization. As your organization continues to grow, the need for greater IT services and increase storage capacity is inevitable. A growing percentage of small and medium-sized companies today outsource their IT needs simply in order to alleviate the distraction of IT concerns that may prohibit small business owners from keeping their energies focused on most critical items like generating revenue and managing operations. “Better to have it and not need it, than to need it and not have it.” Proper storage capacity isn’t enough by itself. Backing up data early and often should be a standard procedure across your organization. 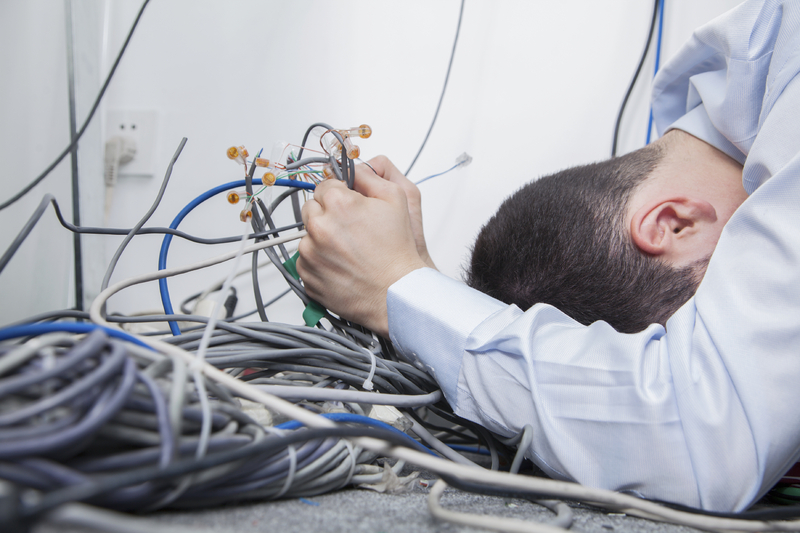 Redundancy and disaster recovery are as much a staple today in any firm as – well … staples. Adequate storage capacity and redundancy back-ups are essential items. View your storage capacity, redundancy, and security as a type of insurance policy you’ll be relieved to have made the necessary investment before you you wish you had.